Very nice clean local one owner new Lincoln trade in Siren Red 2017 Chevrolet Traverse LT AWD! 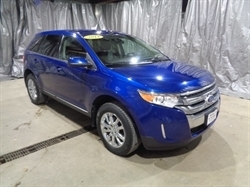 This Traverse was traded in with great low miles at only 12xxx! This Traverse comes with the balance of the manufacturers bumper to bumper and power train warranties intact! 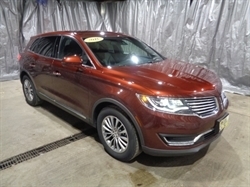 Loaded with 3 rows of seats, leather interior, heated front seats and remote start! THis vehicle is designed for the family hauling but will work perfect for what ever need any buyer would have! Motor Inn Auto Group is family owned for over 75 years representing Buick. Chevrolet, Chrysler, Dodge, Ford, GMC, Jeep, Lincoln, Ram, and Toyota, in Algona, Carroll, Estherville, Knoxville, Spirit Lake and Okoboji with customers throughout the states of Iowa, South Dakota, Minnesota and Nebraska. Our stores provide our customers with certified automotive mechanical service, parts, tires, body shop, lease, car rental, vehicle financing, and sales with highly trained mechanics and sales representatives for both new and used vehicles with car, truck, SUV, and crossover options for all customers. Hello, I would like more information about the 2017 Chevrolet Traverse, stock# ALT5006A. Hello, I would like to see more pictures of the 2017 Chevrolet Traverse, stock# ALT5006A.